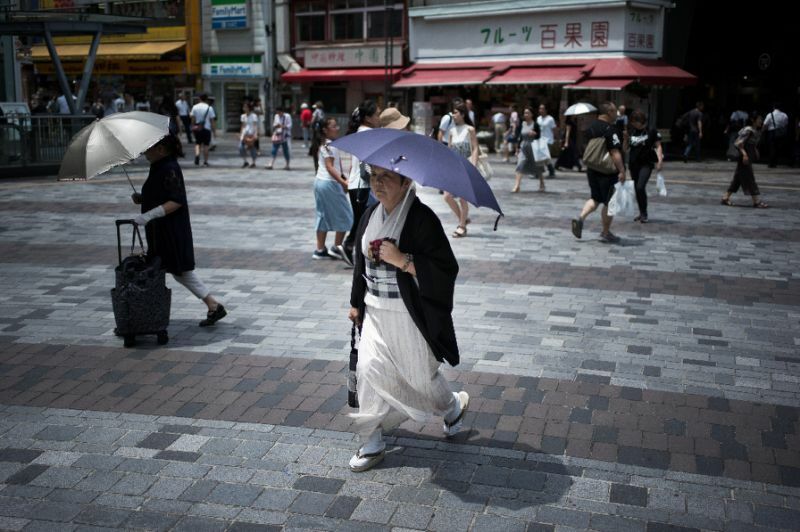 Japanese officials issued new warnings today as a deadly heatwave blankets the country, producing record high temperatures in Tokyo just two years before the city hosts the 2020 Summer Olympics. The heatwave has toppled temperature records across the country, with Kumagaya in Saitama outside Tokyo setting a new nationwide record on today with temperatures hitting 41.1 Celsius (106 degrees Fahrenheit). Records fell at 13 other observation stations across the country, with more than a dozen cities and towns seeing temperatures around 40, the Japan Meteorological Agency said. "And at even lower temperatures, the heat can be dangerous for small children and elderly people, and depending on the environment and activities you are doing," she warned. Japan's disaster management agency has urged people to use airconditioning, drink sufficient water and rest often while at work.